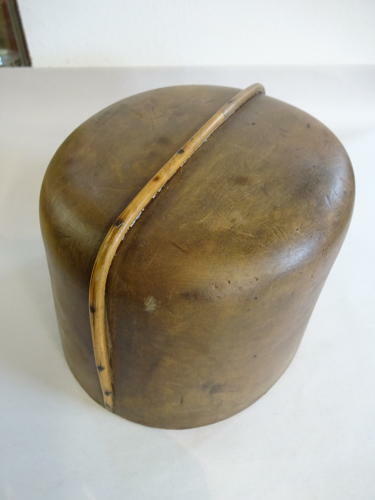 Fantastic Vintage Milliners Hat Mould with Bamboo Strip. Base Hallmarked JHM ? Lyon in France. Measures 20.5cms long, 17cms wide by 13cms high. A Good Addition to any Milliners Collection. We have another Hat Mould which can be seen in our last photograph which is sold separately via our other listings.